I don’t normally write about "major" releases anymore, I figure they get enough coverage in the bigger outlets. However, when it comes to John Carpenter's new album "Lost Themes", I am prepared to bend this rule. I was given "Lost Themes" as a gift from Wolfgang Merx, a synthesiser obsessive and a talented artist on my wee netlabel’s roster. I was grateful but unsure as to what to expect. I love Carpenter’s soundtracks: I am a big fan of the music of both "the Fog" and "Assault on Precinct 13". I love them as films too but their music is extra special to me because they were an early introduction to non-guitar orientated music and sit in my mind alongside Kraftwerk, Vangelis and Tangerine Dream as truly influential. That said, I’m not sure his earlier themes have aged particularly well. There is a sparseness to the soundscapes that betrays, in my opinion, the time they were created. That said, this is a minor criticism that is outweighed by the sheer familiarity & recognisable iconic nature of Carpenter’s music. It was, however, an underlying worry that I had when coming to "Lost Themes". I cannot express how wrong I was! "Lost Themes" is utterly brilliant. Take Carpenter’s iconic expression, add depth and multiple layers of sound, and a predominately uptempo beat ... and you have possibly one of the best albums on 2015. This is Ghostly International-level awesome, in my humble opinion. I could have been easily persuaded that Tycho had had a hand in the development. The 9 tracks presented are wonderfully varied with real depth, vibrance & feeling in each one. I felt a tangible level of excitement when listening for the first time: I wondered what would come next, what sounds would be used, where would the track go? Carpenter never let me down. Not once. Yes, some of the synth sounds used sound a bit "dated" but that’s part of the overall charm. This isn’t an album from the awesome RETRO PROMENADE that pays homage to a time gone by ... no way! Carpenter has taken his familiar sounds and updated them for a 2015 audience: this is the retro-futurism of now & my goodness it works for me. Carpenter has over-delivered on my expectations. So much so, I will be grabbing this album on vinyl at the first available opportunity. 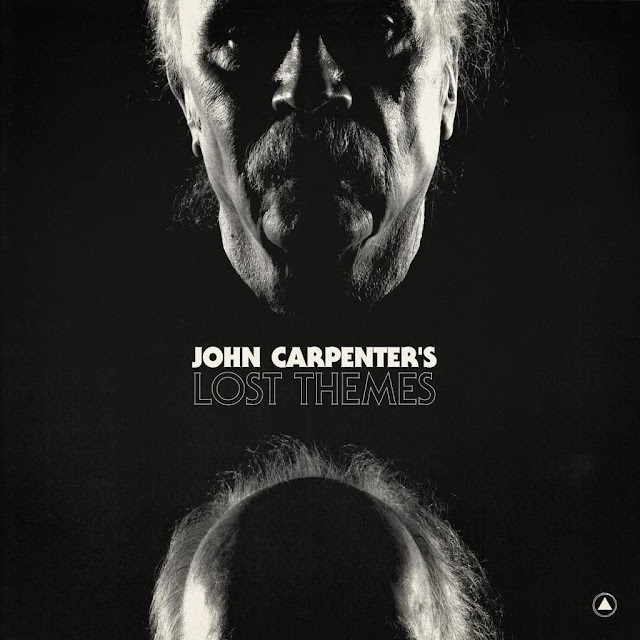 If you like synth music or indeed varied, vibrant sounds then please check out "Lost Themes" by the master John Carpenter. You won’t be disappointed. 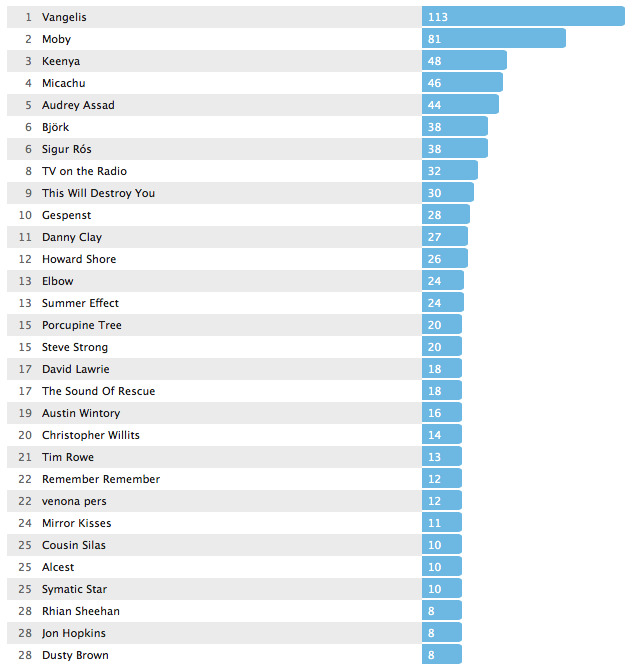 Have a wee listen to the the tracks below to see what I mean. "Your empire, in decline" is wonderfully immersive, not in a haunting or overly eery manner, but in a layered wall-of-sound kind of way. It envelopes you in multiple layers of sound, sounds that create a warm, wide foundation for the sparse melodies that are expertly built on and in this foundation. 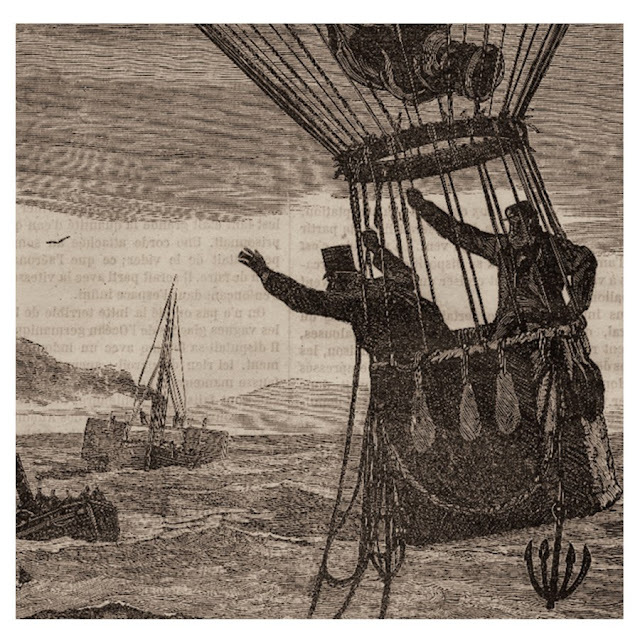 Hessien aka the duo of Tim Martin (Maps and Diagrams, Black Elk, Atlantis) and Charles Sage (y0t0, The Rothko Chapel) have created ideal headphone music that blocks out the world around the listener and replaces it with soundscapes that are delightfully engaging, imaginative & expressive. I often speak of music to get lost in, this is one such album. 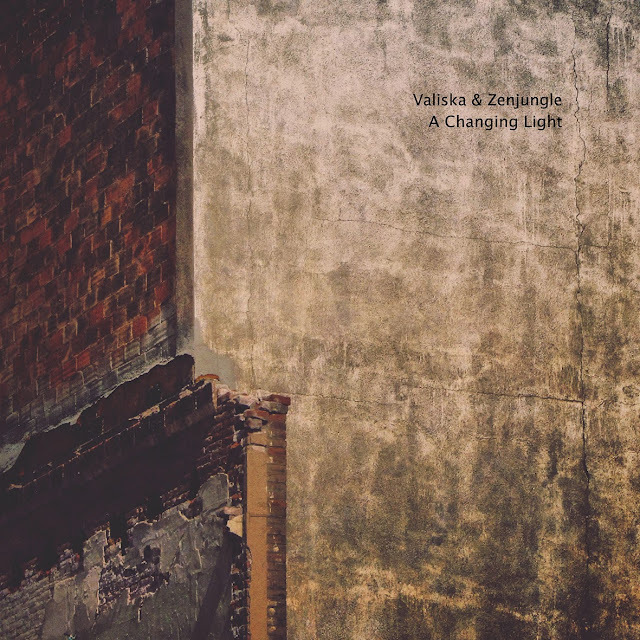 What sets this album apart is their exemplary use of melodic repetition to juxtapose the wide, sprawling layers of ambient sound. These sparse melodies, played on guitar, give the listener something to hold on to, something to focus on, something they’ll remember and even whistle later in the day. These melodies provide depth in contrast to the wide openness of the backing sounds ... kind of like when a guitar riff overcomes the wall of noise in a shoegaze track to stand out ... and through this use of contrast, this depth, Hessien escape the confines of their drones to create something more, something rather special indeed. I thoroughly enjoyed this album and look forward to more from both Hessien and the Long Story Recording Company. My name is Nguyễn Hồng Nhung (Vietnamese name order, to avoid confusion, let’s call me as Nhung Nguyen and it’s a female name). I was born and now living in Hanoi, Vietnam. I play with sounds and listen to them most of the time. I’m working with a lot of ideas at the moment and everything is getting really, really exciting. I am also preparing for my upcoming release, titled September Traveler. The album is a collection of my early works in 2011 and 2012 (except "The call is fading"). It is also the soundtrack for Irene Cruz’s exhibition What dreams are made of, which will take place in Berlin from 6th to 18th February, 2015 (https://soundawakener.bandcamp.com/album/september-traveler). I know Mr. Đại personally and he understands my music with great depth. He encourages me, a lot. It is obviously Hanoi, where I’m living. One more I’d like to add is Hội An ancient town – I composed a lot of music there during my holiday in 2012 and 2014. Piano, books and handmade things. It is my need to express that drives me to compose, record and mix my own tracks. It is also the extremely strong connection between me and nature, me and freedom that keeps the music flow. I wish to express my awareness and freedom in the music. That’s all. The community, especially the music community here has helped me adapt and exchange my ideas with others. Collaboration is always a great chance to learn and I’m happy to be surrounded by like – minded people. More recording, more mixing, more collaboration and maybe live performances. Thanks Nhung for your time and for your music. "September Traveler" is release today - 6th February, 2015. 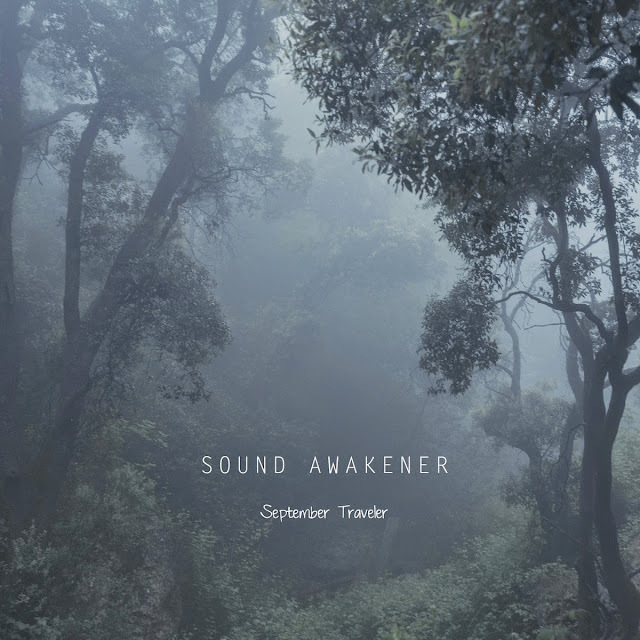 The music of Sound Awakener aka Nguyễn Hồng Nhung is new to me. Other than her brief appearance on my netlabel’s end of year compilation, I wasn’t overly familiar with her particular form of ambience. We are friends on Facebook - we share a number of mutual musician friends and frequent the same forums - and, when given the opportunity, I jumped at the chance of listen to her latest piece: "September Traveler", a collection of her early work from 2011 and 2012 (except "The call is fading"). In addition to being an excellent entry point to Nhung's music, "September Traveler" provides the soundtrack for Irene Cruz’s exhibition "What dreams are made of? ", which takes place in Berlin from 6th to 18th February, 2015; an exhibit I will unfortunately miss. Nhung’s music is an electroacoustic delight: dense walls of ambient sound that genuinely intrigued me as a listener. I was and am fascinated by the opaqueness of her music - I hear something new with each and every listen. There is a dark, claustrophobic element to her sound: an oppressive density as if you, the listener, are walking through the Mirkwood Forest alone at night. And yet for all this darkness there are glimpses of light: "Pale Morning" with it’s pitter-patter of toy piano helps to lighten the mood & provide some welcome respite. The main piece - "The Shade you've become" - sits at just under 17 minutes in length. It is more than half the album and is a dark yet evocative soundscape, one that a listener can easily get lost in. Overwhelming rather than immersive, this is a piece that rewards patience with it's Lovecraftian expression & haunting, processed piano. This isn’t particularly easy listening. Nhung’s music requires time & patience, and it helps to be in the right frame of mind for such aural adventures. But when you are, when everything aligns nicely, "September Traveler" makes for a compelling listen. One I would readily recommend, especially to fans of electroacoustic ambience. January was an interesting month for music: I got my hands on "Hotel: Ambient" by Moby ... and Björk released a cracker of an album. I was also album to listen to unreleased work by Venona Pers, Cousin Silas, and Symatic Star ... all destined for my wee netlabel: weareallghosts.